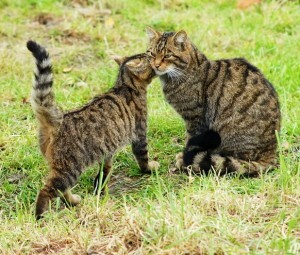 Home › Articles & Blogs › Does a New Wildcat Population Bring Hope for their Survival? 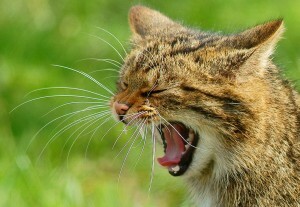 The Scottish Wildcat is one of Britain’s most elusive and secretive animals. With just 465 individuals in the wild, it is also one of our rarest. The Cairngorms Wildcat Project, a three year project that aimed to learn more about the lives of wildcats, reached its conclusion last week and announced that a new population had been discovered in Highland Perthshire. The project used camera traps to better understand the distribution of wildcats, and raise awareness of the threats they face. They are found across a wide area of Scotland, with the Cairngorms National Park being a stronghold for the species, and the cats have now been confirmed in part of the park where they were not previously thought to live. The project’s findings suggest that they are especially rare in Donside, Deeside and the Angus Glens, but still live in Badenoch and Strathspey, Perthshire and possibly Glenlivet. The images from the camera traps enabled scientists to gain insight into the threat of hybridisation. With large numbers of domestic cats in areas where wildcats are present, and approximately 100,000 feral cats in Scotland, cross-breeding with domestic and feral cats is the greatest threat to wildcat survival. Neutering of domestic and feral cats is essential, and organisations such as Cats Protection and the Scottish Society for the Prevention of Cruelty to Animals are helping with neutering and re-homing of feral cats. Vaccinations are also necessary, as many treatable feline diseases still prove fatal to wildcats. Other threats include loss of habitat through deforestation, commercial plantations, urban sprawl and commercial developments (e.g. wind farms), roads causing collisions with cars and the fragmenting of habitat and populations, and human persecution by shooting or the use of snares on game estates or farms, even though this is illegal. The wildcat, also known as the Highland Tiger because it is larger and much fiercer than domestic cats, has lived in the Highlands of Scotland for around 9,000 years. A recent survey confirmed that wildcats are an emblem of Scotland, as the number of people naming them as the species they most associate with Scotland almost doubled between 2010 and 2011. Sadly though, they are now rarer than their big cousin the Bengal Tiger. Once found across the UK, wildcats are now confined to north of the Central Belt in Scotland. They are so rare and elusive that population estimates have been as low as 35, making them 70 times rarer than the giant panda. The past week found efforts to conserve the critically endangered Scottish Wildcat hampered somewhat by infighting between conservationists boasting different ideologies on how best to deal with feral cats – the single biggest threat to Scotland’s remaining Wildcats. Are Wild Animals Becoming Too Familiar with Humans? 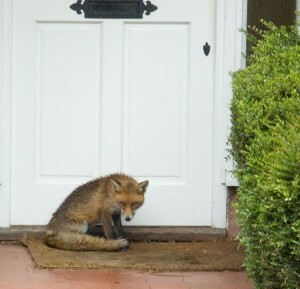 Are animals becoming too comfortable with our ever expanding presence? This process has been described by behavioural scientists as habituation.